Three years ago, 22-year-old Silje Fauskerud Mathisen died on the island of Koh Tao, Thailand. Like millions before her, Silje went to Koh Toa to Scuba Dive in the Gulf of Thailand but was struck by a speedboat on her very first dive and did not survive. According to legal documents two men were charged with negligence after her death. The Thai man in charge of the boat and her British diving instructor. Next month, February 2018, the man in charge of the boat will face a Thai court for the role he played in her death. The instructor however, who has in charge of her safety, has left the country. The girl’s family are now working to find the instructor and have him repatriated to Thailand to face charges along with the Thai national. Silje and her friend Sigrid Simensen arrived in Koh Tao just before Christmas 2014. The girls from Norway signed up for a Discover Scuba course designed for first time divers. On Monday, December 22nd they entered the water after some basic training with a local dive school. When they reached a depth of 5 meters the instructor was nowhere to be seen. When the speed boat came into the area where they were diving panic broke out and the two girls started to ascend to the surface. Another diver managed to grab Sigrid and pull her down to safety, away from the boat at the surface, but was unable to do the same for Silje. 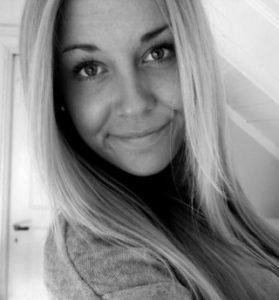 The boat hit Silje, her friend Sigrid said “when we got up I saw Silje unconscious and bleeding from the head”. Silje was taken to shore by boat where she received first aid on the beach and transported to the local medical centre where she was pronounced dead. The following investigation by the Thai police it was established the incident had been caused by negligence and both the man in charge of the boat and the diving instructor, who was working illegally in Thailand, were both charged. The British diving instructor was found guilty in his absence in 2016 and struck off by PADI (professional association of diving instructors) who certified him to teach. The family of Silje have hired a Thai lawyer and been assisted by Oslo lawyer Patrick Lundevall-Unger who previously worked on the Martine Vik Magnussen murder case, a young lady found dead in the basement of a London flat. It was the Thai lawyer who discovered the British diving instructor had absconded to avoid his trial despite having his passport confiscated. He left Thailand on June 23rd 2016. “I will contact Scotland Yard and UD here in Norway, and we are now working to have the man repatriated to Thailand,” said Lundevall-Unger, lawyer at Dagbladet. Silje’s family have found they have hit a brick wall when it comes to the trial and getting any information from the Thai authorities. Silje’s parents have both confirmed they have been offered 200,000 Thai baht, blood money by the Thai national in charge of the boat. They also say they do not feel they have been taken care of by the UD and the Embassy in Bangkok. Lawyer Lundevall-Unger is dissatisfied. He points out that Lena and Bjørn have repeatedly informed the embassy about irregularities and concerns about the criminal case. “It is disturbing that the family does not get follow-up and help. We cannot feel that way, and now the UD must ensure that the man responsible for this is handed over and brought to justice, he says. The family join a long list of families left unsatisfied with the investigations into their children’s deaths on Koh Tao. The families of Nick Pearson, Luke Miller, Christina Annesley, Ben Harrington, Elise Dellemange and Valentina Novozhyonova (still missing) are all unsatisfied with the police investigations.